An exterior of the Free Library on the Parkway on Wednesday, April 03, 2019. The leaders of the Free Library on Monday testified before City Council members for more than two hours during a budget hearing that focused on discrimination and bias in the system. The hearing puts the library system one step closer to a new budget, which many hope will include more funding. The system’s current budget is nearly $49 million, with about $40 million from the city and additional support through state funding and private donations. But advocates and city officials have said the budget is far below what the system needs to function at a basic level. Patrons of the 54-branch system have dealt with lengthy wait times for materials and closed branches due to staff shortages and facility emergencies in the last year. 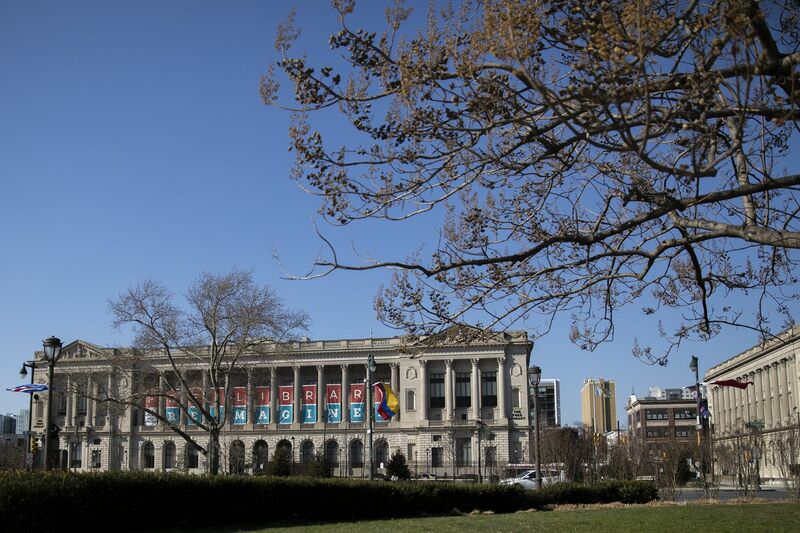 In March, the library requested about $15 million in additional funding from the city, but Mayor Jim Kenney later proposed adding only $2.5 million for the system, which advocates, and most City Council members, said would not address the system’s needs. Councilwoman Cindy Bass (right) questions Free Library president Siobhan Reardon during budget hearing testimony on Monday, April 15, 2019. Nine Council members trickled in and out of the hearing, asking pointed questions mostly about facilities issues, six-day service, and the library’s strategy to address bias and diversity issues. Councilwomen Cindy Bass and Blondell Reynolds Brown, among the most vocal during the hearing, focused on instances of discrimination and bias reported by staff; diversity and inclusion efforts; and a lack of response by leadership. "You need to do more. You need to do better. Or we need to get someone who’s going to do more and do better,” Bass said. Bass and Reardon engaged in a testy exchange. “Councilwoman [Bass], you have to know that we are deeply committed to this. It is a priority for this administration,” Reardon said. Bass quickly replied: “I can’t tell. I can’t tell. Other Council members, including Kenyatta Johnson and Helen Gym, asked about the system’s long-term plan to address crumbling facilities. Council members also reiterated that Kenney’s proposed $2.5 million bump was insufficient for a library system struggling to meet a state mandate to maintain its collections, and open its doors each day. “Two and a half million dollars is not enough to do nearly the level of work that needs to be done to the libraries,” said Bass, who estimated the need is closer to $25 million based on her recent visits to branches in her district. “We can’t get to the bottom of Nicetown’s needs alone with $2 million,” she said. A few advocates and library employees will testify before City Council later this week. At the hearing’s close, library administrators were asked to return April 30 to report progress on strategies relating to diversity and inclusion training and efforts.